Let’s be honest, the vast majority of us have to shave and don’t really consider it a highlight of our daily routine. I mean sure, there is a small handful of Brooklyn-esque hipster-types that have romanticized the vintage barber shop shave to the point of almost convincing the rest of us to try our hand with a straight razor, but if you’re really honest, most days you just need to get your shaving done so that you can get on with your day, right? I have to confess that I do actually take a little pride in my shaving routine and I love a bit of precision when it comes to the little things; laying everything out: hot towel, shave soap in a ceramic mug, boar’s hair shave brush, and a nice aftershave. I appreciate all the rich color and texture and taking a bit of time to slow down and appreciate one of the things that makes my routine distinctly masculine. But then there’s the razor…. I can’t help feeling like my whole aesthetic experience is kind of tainted when everything is rich and elegant looking and my razor looks like my kids left their Hot Wheels all over my bathroom counter. Neon blue and orange electric vibrating spaceship contraptions make me think that instead of slowing down and taking my time I should be trying to figure out how to set the thing to stun…. I know, I know….there are other options than the Mach 47 or whatever number they’re up to now, but lets be honest: romanticism only gets you so far and though I do like to slow down and savor the process, my goal is still to get a good clean shave and get to work without taking half a day or bleeding out. So for me, the disposable, multi-blade razor is the perfect mid point between nostalgia and pragmatism. Created by a couple of friends (one of whom co-founded Warby Parker) on the simple premise that we shouldn’t have to choose between “over-priced, over-marketed razors that disrespect your intelligence, and low quality, cheap razors that disrespect your face.” So they created something different. German engineered, high quality, affordable, disposable razors with a variety of handsome, minimalist handles. Pair that up with some great quality shave cream, wrap it up in elegant packaging and make the ordering process painless and what you get is an overall experience that redefines the discipline of shaving entirely. The Truman kit ($15) includes a handsome handle (available in one of four colors), a set of four blades, and a tube of shave cream. The Winston kit ($25) offers an elegant polished aluminum handle with the same extras as the Truman kit. Handles, blades and shave cream can all be purchased separately with replacement blades costing less than $2 each (that’s roughly half the cost of anything from Gillette). 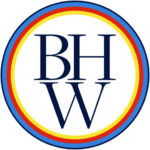 An added and impressive detail is that Harry’s echos Warby Parker’s philanthropic spirit by donating a portion of every sale to worthy causes worldwide. And with a generous referral program (you get a set of blades for every new customer you refer to them), what you have is an overall superior experience that you can’t get anywhere else. Second to none. Short of actually sitting in a barber’s chair and being treated like a king, there’s no better shave on the market right now. I’ve been using Harry’s razors for several months now and the quality is consistent, the shave is close and clean, and the blades last as long as any that I’ve tried from store bought brands. 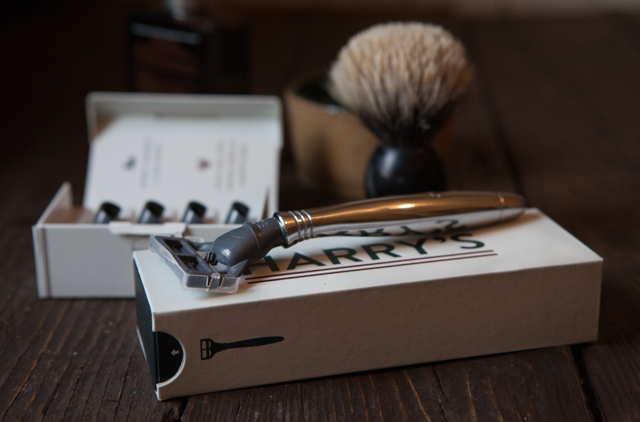 In fact, my experience with Harry’s has been so excellent that I went ahead and bought a set for my wife, (because let’s be honest…..shaving is a heck of a task for the ladies too). In summary, I can’t recommend Harry’s highly enough. Quality products, excellent buying experience, gracious customer service and a shave that can’t be beat. All at a fraction of the cost of store bought razors. Have you tried Harry’s or have any questions? Let me know by commenting below. In my opinion yes. The blades were much nicer and the overall aesthetic is a lot more elegant. The DSC ones still feel gimmicky to me. Thanks! Agreed. That’s a great additional touch. Proudly powered by WordPress | Theme: Ignis by aThemes.